You’ve already used our wedding tips to save money. It’s time to learn that in the modern world, personal budgeting is a huge responsibility for married couples. More and more newlyweds choose to combine their finances in order to share the most frequent expenses everyone is most likely to meet during after marriage. Therefore, creating a joint account is very convenient when it comes to paying for rent, utilities, and other bills together. Just admit that combining your own money with someone else’s without knowing where you’re at financially at the moment is kind of weird. That’s why you have to know what’s going on with your own finances. Before having a conversation about it with your partner, ask yourself several easy questions. Do you have debts on your credit cards? How many debts do you have? Are you still paying off a student loan, mortgage or a car loan? Are you responsible when it comes to paying on time? Do you plan to save for a retirement? And lastly, do you think you may file for bankruptcy any later? Unfortunately, most couples decide to skip this stage and move on straight to combining. In fact, finding out WHY you and your spouse are making such decision can help you clarify your mind and get you on the right track. What if you simply follow some friends’ advice because they said combining finances was a great experience? Or maybe your parents have done this and that’s why you’re doing that too. At least, you want to know that no one pressures you to combine finances and you won’t have anything against it. Agreeing to combine your and your spouse’s finances without any doubts is not so easy. However, if you know all the possible advantages and drawbacks of having a joint bank account, you will surely make the right decision. The main benefit of combining finances is its convenience in usage, especially when it comes to paying for joint bills and other expenses. Besides, each of the side receives a 24/7 full access to all the money in the account. This means, both partners have an equal access to the joint finances (which sometimes can be a drawback). The thing is, not everyone is ready to be completely honest about his or her financial situation and reveal such details even to a partner. If you decide to share a bank account with somebody else, it’s significant to know everything about each other’s finances. What if your partner has lots of debts to pay off, when you’re already saving money for retirement? Even details about your life goals can influence your decision because different lifestyles, life goals and spending habits define different financial preferences. And you don’t want to face this issue later after you’ve had your finances combined. Therefore, don’t be afraid to have an honest talk about this with your spouse and find out if both sides are comfortable with each other’s’ attitudes. Not only is this about knowing all the best ways to combine finances and understanding where each of you stands financially. Now, it’s time to think how things will be done as soon as your finances are finally combined. Who will be keeping track of bills and writing checks (or pay them electronically)? Who will be controlling daily personal and household expenses? Think about that in advance and you won’t be in a panic later. The other question is, which accounts should you keep which ones should you close? At the meantime, you may even open some new accounts. Whichever your decision is, try to find the right solution out of this dilemma. Thanks to our electronic devices and some cool financial tools, you will be able to control your bank accounts’ situation anywhere and anytime. To know what’s going on with your finances, you might want to download some best financial apps, such as Mint, Personal Capital or You Need A Budget (YNAB). This way, from one joint app’s account you can monitor each other’s actions and control the financial situation in real time! 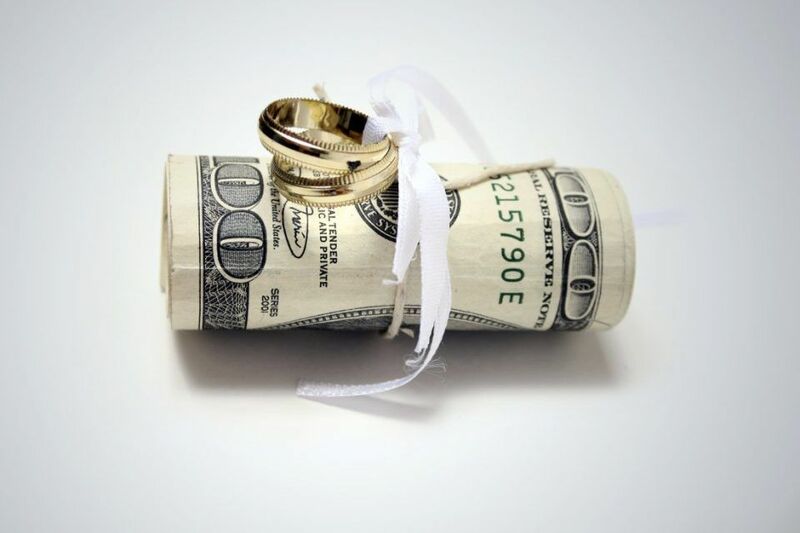 When to combine finances if you just got married? No hurry, there is still time for consideration. Combining finances is a great responsibility before your partner, so you might want to make sure it works for both of you.